It's time for April's Sneaky Peek with The Cat's Pajamas Stamps and this release is ready for all your celebrations. 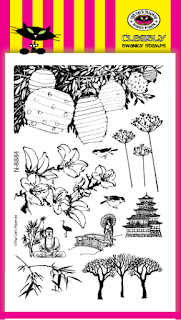 The first card I am sharing is one using the new set of Asian Spring. This is such a beautiful set and one I really had to try my hand at coloring on cardstock with colored pencils. I love the look this gives and I think it was a perfect choice to pair with this set. Since this set does not have any sentiments, I used one from the set of Simply Said and kept it simple. For my second card, I kept is really CAS and hope you will be able to see what I see IRL. :) Using the new set of 'Tini, I heat embossed the image on the front panel and added the new Cut Up of Cheers above it. The glass was embossed with both a white detail powder and an iridescent clear for some sparkle. The "wine" was also heat embossed using a garnet colored powder, while "cheers" was cut out using a white sparkle card stock. Comment this week during all the sneak peeks the Cat Pack have put together and leave a little love for your chance to win!! Thanks for stopping by and taking a peek! Wonderful cards, Deborah! Love the Japanese lanterns on the kraft...amazing! So Pretty. I love your Asian Spring card, looks like a painting. Love your cards. I really like how you stamped on the colored cardstock. Both of your cards are wonderful Deborah. Im so glad you decided to color on the Kraft cs I love the look so intense. Your card looks like it should be framed and hung on the wall just gorgeous tfs. Awesome cards! 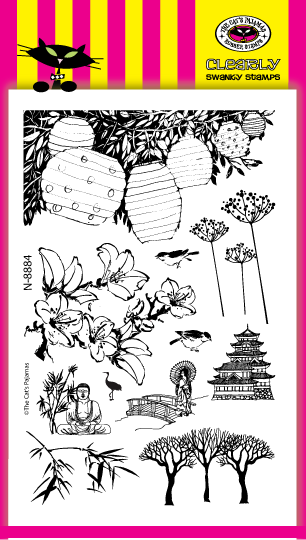 Love your beautiful Asian Spring card! The coloring looks fabulous on the kraft cardstock! The lanterns are just beautiful! Love the sparkle on your 2nd card! 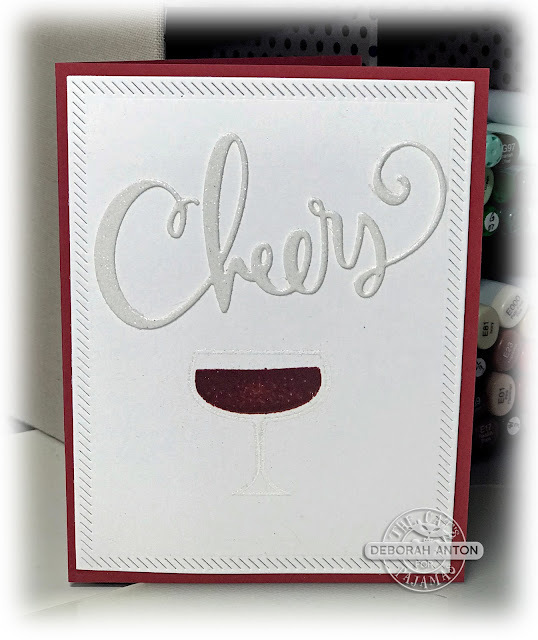 I love that Cheers die, and making it sparkly is even better! I like the scene you made with the Asian set. 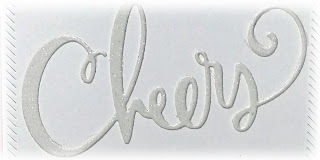 The Cheers card is lovely with the white on white and tasteful glitz. Love your cards! I am stunning at the depth you got with the lantern stamp and the great colors on kraft! Fabulous release!!! 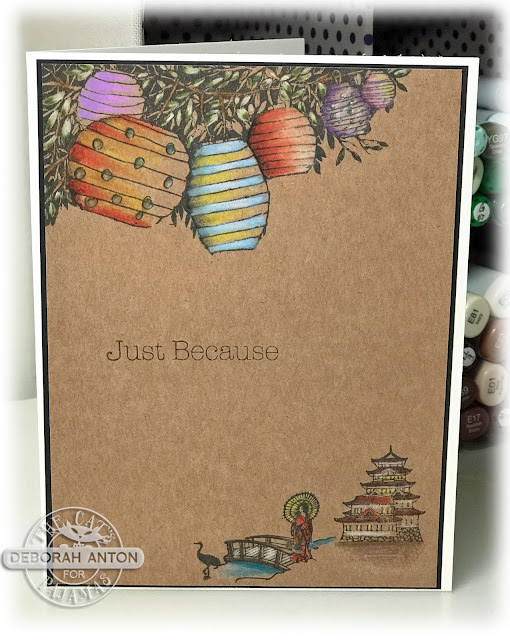 LOVE the Asian card Deborah - the coloring on the kraft cs is so beautiful. And of course the sparkly wine card is super fun.